Skyrock is proud of its well organized and well equipped quality assurance system. A full complement of modern, high precision measuring equipment is available to support any international quality standards. 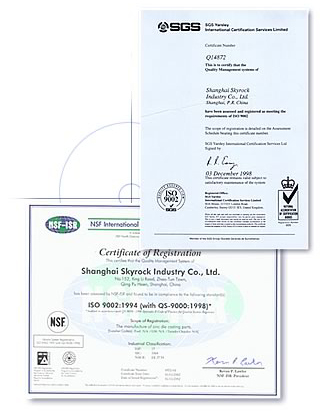 Skyrock has been ISO 9002 certified by SGS of Great Britain since 1998.